When Nelson Chamisa stated on 19th March 2018 in an SABC interview on that he suspected President Mugabe would vote for him in this 2018 election, my ego, arrogance and emotions refused to accept such a possibility. I have gradually had to swallow my pride and accept that what I considered an impossibility is a reality. Let me state, right from the outset that I do not speak for President Mugabe. The views in this ZBR are my personal perspectives derived from my own rational analyses of events. My damascene moment, my turnaround that is similar to that of Saul on the road to Damascus, has been informed by my own knowledge of President Mugabe and my own numerous objective assessments of the current reality of Zimbabwean politics. In this article, I will recount President Mugabe’s public pronouncements on his views on how to cure the illegality of the 15 November 2017. As I associate myself to President Mugabe’s views, I must also acknowledge that I agree with Professor Jonathan Moyo’s take that Zimbabwe’s 2018 election is indeed a critical or realignment election. The term critical or realignment election is derived from political science and political history to describe the realignment of political forces to cause dramatic changes in the political system. The President Mugabe that I know is driven by principle. One of the most fundamental of those principles is that politics leads the gun and not the other way round. President Mugabe, during his interview with several media houses on 15th March 2018, described the military coup that Chiwenga and Mnangagwa engaged in on 15 November 2017 as a disgrace that needs to be corrected. See links to interview on ITV and on SABC. President Mugabe offered to assist Mnangagwa to address that coup illegality that is tarnishing Zimbabwe. When asked what he would do should Mnangagwa not take up the offer of assistance, President Mugabe indicated that the coup would be addressed at the 2018 election. President Mugabe’s offer to assist in returning Zimbabwe to legality and constitutionalism has been spurned by Mnangagwa. This means that the disgrace visited upon the country by the 15 November 2017 coup must be addressed through the 2018 election. However, the fact that Mnangagwa is the primary culprit responsible for the 15 November 2017 coup means that President Mugabe will not vote for Mnangagwa. Voting for Mnangagwa is an endorsement of the violation of the time honoured principle that politics leads the gun and not the other way round. Having concluded that Mnangagwa is not worthy or deserving of anyone’s vote, including President Mugabe’s vote, the question that arises is whom will President Mugabe vote for from the remaining 22 presidential candidates? The answer is derived from negative and positive determinants on that decision. The negative determinant is that President Mugabe will not vote for junta sponsored spoilers whose sole purpose is to perpetuate military rule by dividing the opposition vote; I will name and shame these spoilers in due course. The determinants that impact positively on whom President Mugabe will vote for are influenced by the reality that there are significant realignments in Zimbabwe’s political forces. These realignments in Zimbabwe’s politics are underpinned by both the actual content of the 2013 Constitution of Zimbabwe, and the inclusive nature of how that constitution was developed by the two main political groupings then headed by President Mugabe and the late Prime Minister Tsvangirai respectively. Zimbabwe on the other hand. Most political forces are realigning according to focus and orientations that looks into the future whilst a few forces remain fixated on an entitlement mantra based on a past such as participation in the liberations struggle or having previously been Vice-President, Deputy Prime Minister, minister, legislator or councillor. Political forces are also realigning according to the demographic realities that recognise that only 23% of Zimbabwe’s population is over 35 years old, whilst 36% is between 15 and 35 years old and 46% is below 15 years old. The realignments of political forces, which are in themselves going to result in having the 2018 election being a critical or realignment election, will definitely find resonance in President Mugabe’s inherently democratic disposition and his ability and capacity to embrace progress. Retrogressive notions and prejudices that existed previously no longer hold. It is not progressive to continue to hold onto the past and out dated rivalries that existed between the Mugabe led ZANU PF and the Tsvangirai led MDC. It is therefore my considered view and opinion that President Mugabe will vote for Nelson Chamisa on the basis that the balance of forces are democratically leaning towards a futuristic focus and orientation driven by the demographic reality of a younger population. The retrogressive forces premised on the entitlement focus of people who seek to claim leadership on the basis of previous participation, past positions and former rivalries cannot be supported. It would be remiss of me not to comment on the false narrative that is being peddled by junta proponents that the support for Chamisa’s presidential bid is part of some fictitious deal between President Mugabe and Chamisa. I know President Mugabe as a leader who is driven by principles. President Mugabe is DEFINITELY NOT a transactional leader; he will not participate in any arrangement on a quid pro quo basis. Consequently, support for Chamisa’s presidential bid is unconditional. The narratives that Chamisa has a secret deal with NPF to give a Vice Presidency or any ministerial positions to NPF or any other person or entity is FALSE. The support for Chamisa’s presidential bid does place any obligation, none whatsoever, on Chamisa having to making any promises for government positions to NPF or any other person or entity that is not part of MDC Alliance. Support for Chamisa is premised on the need to cure the coup that Mnangagwa and Chiwenga conducted on 15th November 2017. It is support that recognises that political forces in Zimbabwe are realigning towards a futuristic focus and orientation that is driven by the demographic reality of a younger population. 15/24 Ideologically, since Zimbabwe faces an existential threat; with a self-indulgent military clique seeking to capture the Republic using tanks, bullets, grenades & bombs to justify that capture, the people should democratically rise up & assert their sovereignty at the polls! During this coming week, I will write instalments of the ZBR which will explain why key voting stakeholders will realign and vote for Chamisa. The voter stakeholders that will realign and vote for Chamisa to be President include the original ZANU PF members and supporters (both those remaining in ZANU PF and those marginalised and expelled during purges in 2014/15 and 2017/18, myself included), young people, beneficiaries of President Mugabe’s landmark empowerment policies of education, land reform and economic empowerment, and most importantly, all progressive Zimbabweans who subscribe to the constitutionalism that was ushered by the 2013 Constitution of Zimbabwe delivered by the GNU under the leadership of President Mugabe and the late Prime Minister Tsvangirai. 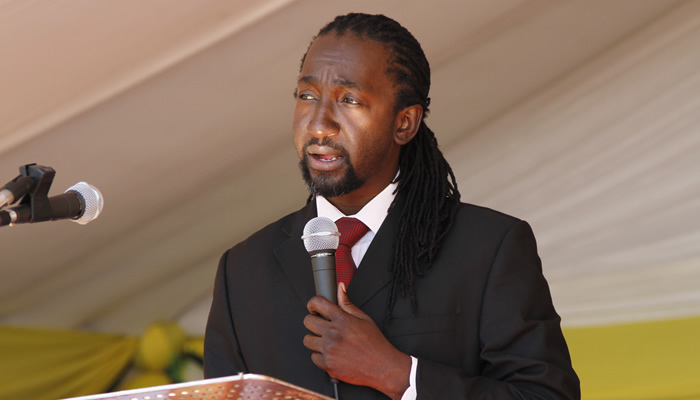 Weekend Read: What Went Wrong With Zimbabwe’s MDC-T?